I discovered Sxuperion only this past January through the band’s split release with a Nebraska black metal band named Verräter (discussed here), although Sxuperion had preceded that split with two full-length albums and an array of shorter releases. For those who might not be familiar with Sxuperion, it’s the solo project of the drummer (Matthew) for two other excellent bands, Valdur and Weverin. 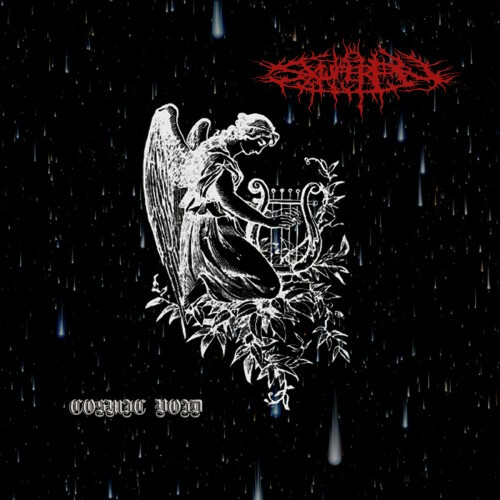 In late April, Bloody Mountain Records released a new Sxuperion album named Cosmic Void, which completes the “Cosmic Corridors” trilogy that began with the first two albums. The songs are predominantly tornadoes of heavy, harrowing sound — swarms of deep, grinding riffs, chasmic bass rumbles, abyssal growls, and masterful drumwork (untriggered and executed without clicktracks), but laced with unorthodox and scintillating surprises. Here and there, eerie, penetrating lead guitar motifs appear and shine like jewels, peal like bells, warble like sirens, or moan like wraiths within the music’s deep, storming gloom. A choir of voices rises up, intoning a medieval hymn. A mournful horn and piano join in a hallucinatory duet. Distorted strings give voice to a funereal lament over the rapid thump of a bass drum. Brute-force riffs land like lead-weighted cudgels applied with metronomic regularity or go off like rapid-fire automatic weapons. The songs erupt in conflagrations of blazing fast (and intricate) chords and percussion — and collapse into leviathan staggers. Even when Sxuperion is in full-on demolition mode, gripping, doom-sodden melodies weave their way through the maelstrom in sinuous fashion, like great pythons searching for prey. Paradoxically, as violent as the music is, it can have a hypnotic as well as a galvanizing effect, inviting you to join in a death trance as the stars fall from the void. An exceptionally strong, multifaceted album that comes highly recommended. We’re told that Coscradh is is a Gaelic word that means to slaughter or massacre. The Irish band who chose that name for themselves have completed a debut demo that has just been released by Invictus Productions on Bandcamp, with a tape release projected for June. 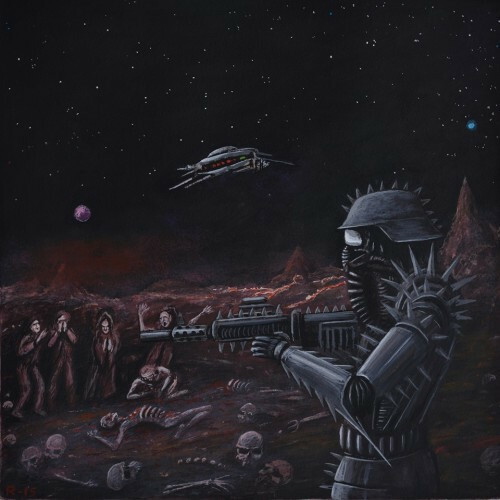 The name is well-chosen, because this four-track debut is a slaughtering amalgam of horrifying, reverb-effected vocals, mutilated (and mutilating) riff grinding, putrescent tremolo leads, shrieking solos, and drumwork that alternately spits high-caliber bullets and slowly pounds like a sledgehammer. There’s more gruesome, doomy death metal in the mix than black metal, but certainly enough of a flavor to give me the excuse I needed to recommend this beast without delay. 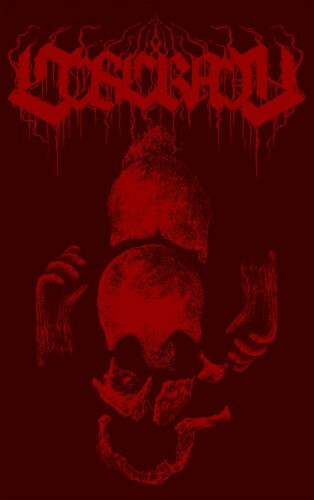 When the band are in a moaning, groaning, crawling tempo, you can almost smell the festering of worm-eaten corpse meat. When they punch the accelerator, it’s pure howling destruction. 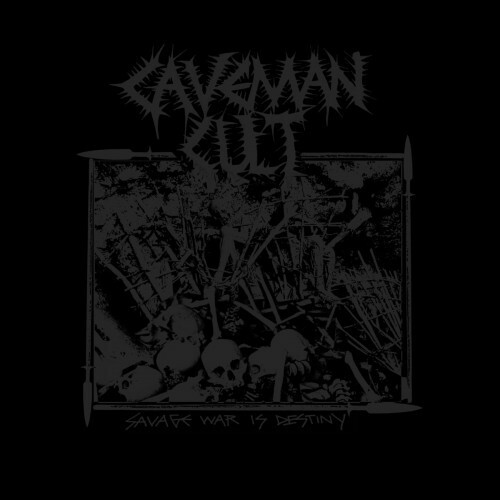 Now, Caveman Cult have released a debut album named Savage War Is Destiny. Everything I wrote about the EP still holds true. It’s a goddamn war zone, teetering on the edge of utter atonal, hyper-distorted sonic chaos but tethered to something resembling solid ground by the rhythms of bone-smashing bass and gunshot snare bursts. To stitch together some apt words from the song titles, this is an iron scourge of bludgeoning barbaric bloodlust that demands death before surrender. Part 1 of this post yesterday included one Chilean band (Sol Sistere) and here we have another one, though the two groups are quite different in their approach. This band (from Santiago) is Black Ceremonial Kult. They released a debut demo in the spring of 2015 and then included a second demo last November in a split release with Kratherion (which seems to include two members from Black Ceremonial Kult). I learned of the band when I saw the news that Iron Bonehead Productions intends to package the two demos together in a tape release called Communion of the Ancient Gods (which includes new cover art by Daniel Corcuera (Nekronikon)). Between the first two Bandcamp links below you can access all the tracks on the two demos, but I’m just going to mention one song that Iron Bonehead is using as a preview for the tape release. Entitled “Liber II: Hexagram“, it’s one of the six BCK tracks on the split with Kratherion. It’s a titanic earth-moving machine with a massive, heaving under-carriage and grim, radioactive riffs. The song is laced with sounds that conjure an alien incorporeal presence, accompanied by the kind of echoing, cavernous roars and skin-flaying shrieks that seem to presage the entry of Lovecraftian horrors into our dimension. 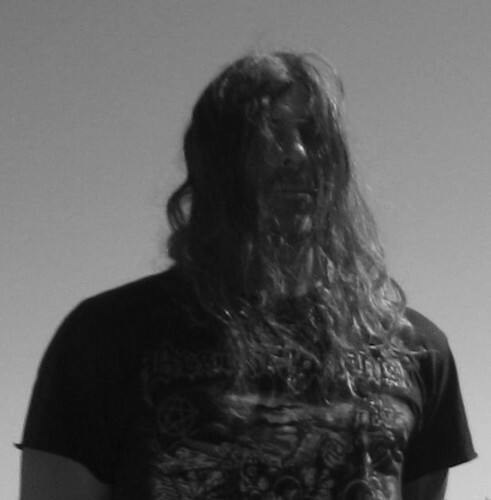 Since the tragic demise of New Zealand’s Diocletian, the band’s vocalist/guitarist Atrociter (Brendan Southwell, also formerly in Witchrist) has been at work on a new project named Solar Mass, along with drummer Will Bellerby (Skuldom) and vocalist Nick (ex-Entropy). A demo cassette will be released sometime later this year, and so far, two sample mixes of songs from the demo are available on Soundcloud — “Weaponised” and “(Sgr A*) Exegesis”. I’ve embedded both of those below. The music is quite a departure from the black/death, doom-cult sound of Diocletian but still very promising. “Weaponised” is a demented, seething, thrashing rampage that eventually slows into a brutish stomp accented by deranged soloing. “(Sgr A*) Exegesis” reverses course, beginning in a mid-paced lurch and then accelerating with hard-jabbing riffs, building the momentum as the vocals spray vitriol with a tone that’s part clean, part acid (cool solo in this one, too). To conclude this round-up of new discoveries I’m taking a sharp turn away from all the unmitigated destruction and mayhem that has come before. 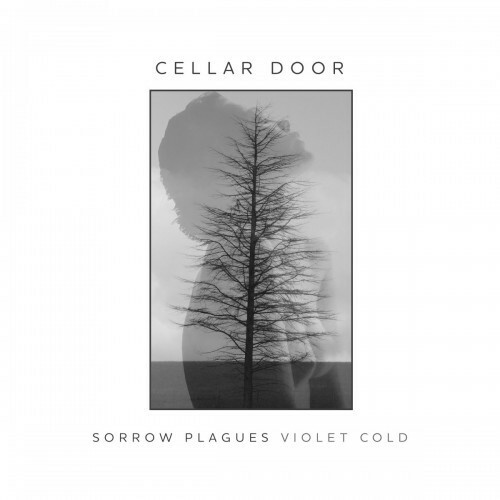 This last item is a split release entitled Cellar Door by two one-man bands I’ve covered before, Sorrow Plagues from the UK and Violet Cold from Azerbaijan. I wrote about Sorrow Plagues (the solo project of David Lovejoy) back in February in another one of these Shades of Black posts, with the focus being the band’s self-titled debut album. For this split, Sorrow Plagues contributed a track called “Hiraeth” (which includes a guest solo by Lewis White). It begins in beautifully melancholy fashion with slow, reverberating guitar notes that weave a beguiling melody. The energy builds from there, further etching the soaring melody into the listener’s mind with shimmering synths and echoing piano notes, even as Lovejoy’s distant, caustic shrieks put a serrated edge on this enthralling experience. Transcendently beautiful…. Emin Guliyev is the man behind Violet Cold, and my writings about previous releases can be found here. His long song for this split is “Pour L’éternité”, and it’s a fine companion for “Hiraeth”, one that begins with mystical, cosmic ambience that glimmers like star-shine and then builds in glowing intensity, like a sunrise, with glacially slow drum beats that are stately and solemn. As in “Hiraeth”, Violet Cold soon ratchets the emotional intensity, in this case with blasting drums, wrenching howls, and waves of enveloping sound. The sensation of being carried off the planet and gliding the space lanes at tumultuous speed persists, with galactic vistas greeting you at every turn. The somber but beautiful keyboard melody that surfaces near the end over a thrumming bass has the heart-swelling power of French horns in a symphony hall. Intense and mesmerizing…. Damn, that Sorrow Plagues/Violet Cold split is gorgeous.